UPDATED! 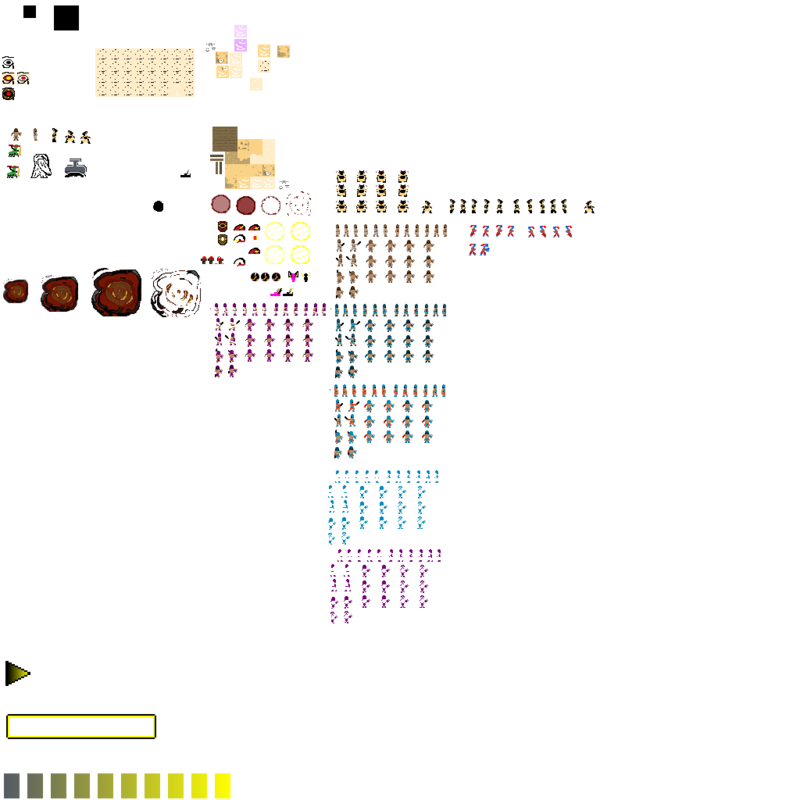 Now includes a bomb, explosion, and new icon. 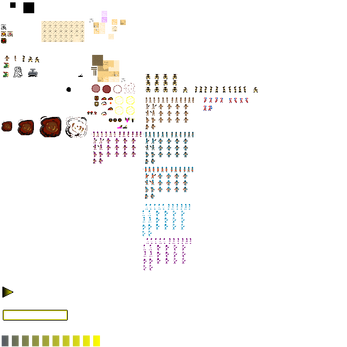 Also includes separated layers, so you can duplicate the character layers, color them, and apply to new characters. 5 Characters in oblique design (4 way directions). 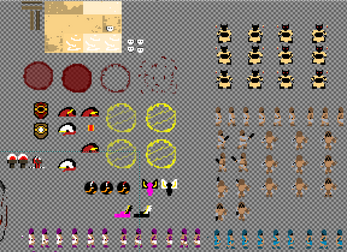 Some power-ups and shields. Blood! A fun little pack that I'm sure will get you started. Let me know if you use these elsewhere! Cheers. OUT NOW in Unity3D Asset Store. It's all sliced and animated for your convenience. Updated! 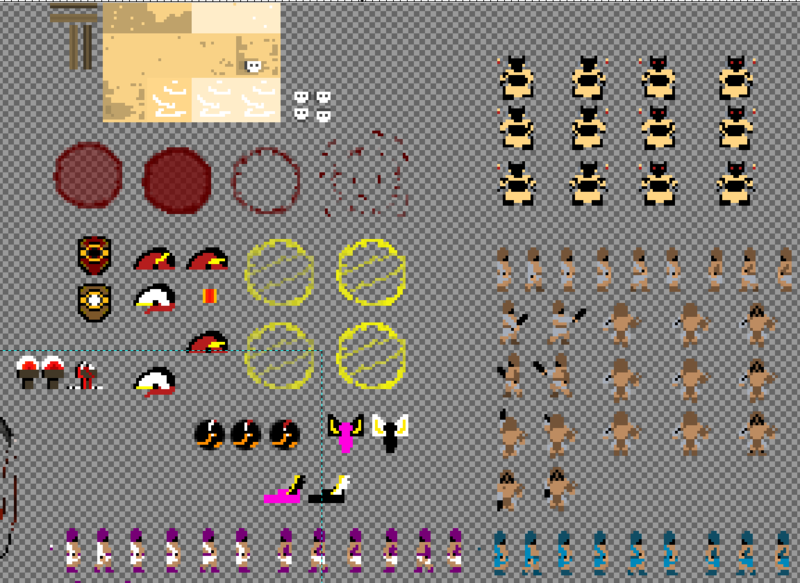 Gladiator / Egypt Tileset & character pack. That's awesome! Thank you for letting me know. Good luck and much success!